Find out who from UCL Institute of Ophthalmology and Moorfields will be presenting at ARVO 2018. IoO and Moorfields always have a big presence at the ARVO annual meeting, and this year is no exception. ARVO is the largest and most respected eye and vision research organization in the world. Presenting research projects at their annual meeting is highly competitive and to have this many projects presented is a real achievement. This really is a huge credit to us, showcasing the extensive and pioneering research taking place in partnership between UCL & Moorfields. If you will be attending ARVO and would like to find out more about the work we're doing, Anthony Khawaja has compiled the 2018 definitive guide to UCL Institute of Ophthalmology and Moorfields Eye Hospital presentations at ARVO to help you know where to find us. 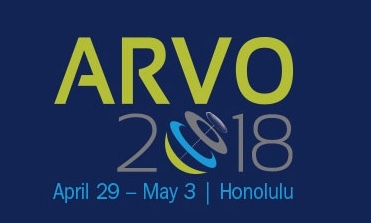 The ARVO annual meeting will take place April 29 - May 3 2018, Honolulu, Hawaii, USA.